The most simplified HVAC system. Select the temperature you want for each zone and change it whenever you want. Zoning systems provide the ultimate comfort experience as every zone adapts to the user’s needs. Airzone systems adapt to your lifestyle and to weather variations. Schedule your system to fit your everyday plan. Let Airzone take care of you. Thanks to this new functionality your system will be always updated. This way, you will always enjoy our last technology and developments. 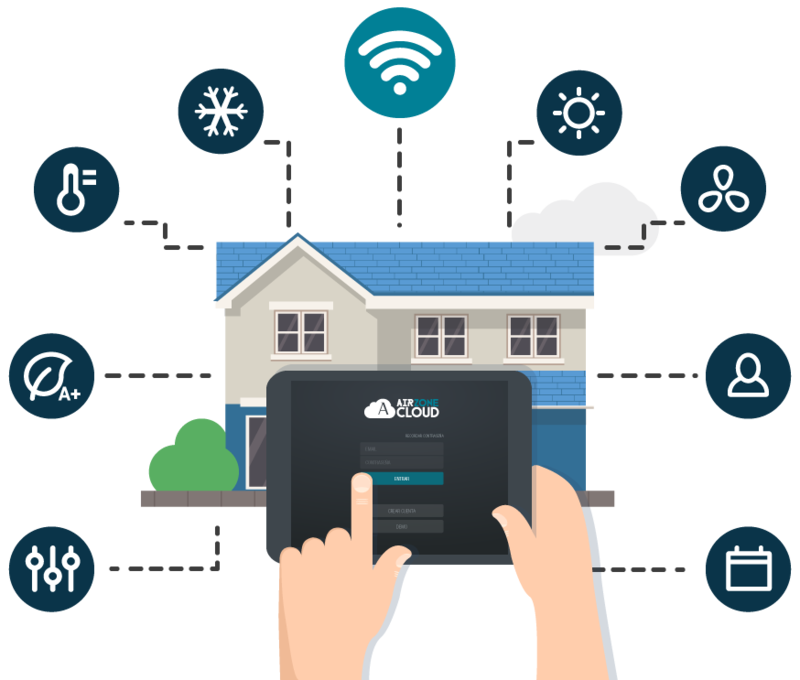 Airzone cloud will gather information about how your system works to keep it always up to code and boost energy efficiency. Control the relative humidity of your zone. You will be able to accurately monitor all your zones in order to save more energy and prevent any minor condensation. 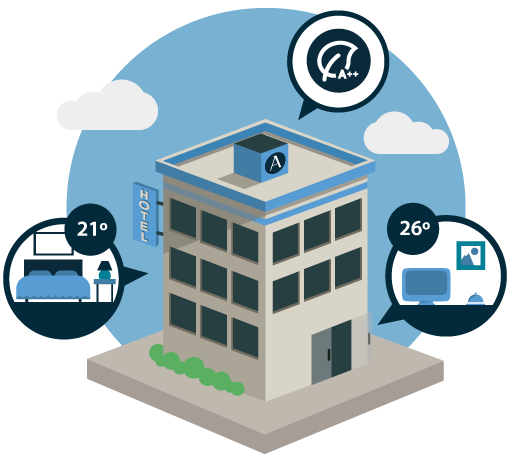 Airzone Cloud is the doorway to a new generation of control. Now you can check your system wherever you are, whenever you want. No matter if you are resting at home, working in your office or buying at the supermarket. Just access our app and control your Airzone system.